Summary : A perfect introductory black tea, this tea from Adagio Teas nicely blends a cream flavor with quality black tea leaves. The result is a moderately strong creamy flavored black tea that lacks any bitterness. Review : Being in the mood for ice cream tonight, and being too lazy to drive down to the store to buy any, I decided to rummage through my tea selection to see if I could find an interesting substitute. The first tea that caught my interest was the Cream Flavored Black Tea from Adagio Teas. Since ice cream is loaded with cream, I hoped that this tea might solve my peculiar craving for ice cream - all the while avoiding the heavy calories found in my favorite ice cream of all time, Ben & Jerry's Cookie Dough. Here is how Adagio Teas explains their Cream Black Tea on their website : "Which comes first, the cream or the tea? If you're not sure, don't worry... neither are the English. However, its unanimously agreed that, whether you prefer your tea first, or cream first, this dairy-free cream flavored Ceylon black tea is a treat for your teacup! 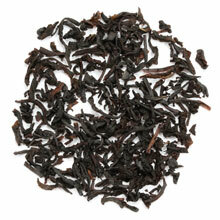 Sweet, inviting and warm, with a delicate creamy consistency and aroma of fresh black tea. Pleasantly brisk and very refreshing." This tea contains the following ingredients : Black tea, Natural Creme Flavor. As the ingredient list shows, the cream tea from Adagio Teas is basically nothing more than a straight black tea with some cream flavor added. The aroma of the tea right out of the bag screams "cream" - always a good sign for a flavored black tea. Once brewed, the coppery color of the tea is as expected - always a good sign in a flavored black tea. The flavor of the tea, I'll confess, did surprise me. Many flavored black teas I've tried have tended to be "more black tea taste" than "flavored taste." In other words, most flavored black teas I've tried have had the powerful flavor of traditional black tea overwhelm whatever flavor has been added, often times leading to "peculiar results" in its taste. Happily, I can report that this tea doesn't fall into the "peculiar taste" category. Instead, the tea does indeed have a moderately strong cream flavor to it. While it is no substitute for half and half or other cream products found in the dairy section of your local supermarket, the creamy flavor of the tea is distinct, noticeable and pleasant. Just as importantly for a black tea, the flavor of the tea is quite smooth without a hint of bitterness - provided, of course, you brew it properly. Overall, this is an enjoyable tea with a moderately strong cream and non-bitter flavor. I suspect coffee lovers who love to add cream to their coffee will especially adore this tea. Recommendation : Yes. This tea from Adagio Teas is smooth, non-bitter and packs a nice ceam flavor to it. While it wasn't as "creamy" as I hoped it might be (I tend to like things "really creamy"), the cream flavor was still quite distinct and enjoyable. Brewing Instructions : Pour 6 ounces of boiling water over one heaping teaspoon of tea leaves. Let steep three minutes. As this is a black tea, it is important to not oversteep the tea. Otherwise, the tea will become bitter.